You might not have realised it, but a new trend has taken over our design and lifestyle culture. It’s in our clothes, our coffee shop and bar interiors, and modern website designs. The minimalism aesthetic (characterised by streamlined design, usually in black and white, with clean lines, industrial materials, and, at times, a bit of a ‘clinical’ appearance) is permeating modern design. But the rise to prominence of this aesthetic represents more than just a shift in the artistic expression du jour. It represents a fundamental shift in our core philosophy and orientation to the material world; a shedding of the materialist dogma that permeated the 20th century. In its simplest form, minimalism is a philosophy of living which emphasises intentionality above all. It is the intentional promotion of things we most value, and the removal of everything that distracts us from it, in order to attain a life of clarity and purpose. It is the opposite of the materialist ideology so pervasive from the mid-20th century, the thinking that owning more stuff will lead to a happier life. At the forefront of this cultural shift are the infamous millennial generation (those born between 1980-1996). And really, this shouldn’t come as a surprise when one considers the conditions in which this generation grew up and came to know the world in. They are a bigger generation population-wise than the baby boomers before them, but have smaller wallets. The cost of living is higher and job prospects are poorer, not to mention the mountains of student debt that most millennials accumulate by the end of their time at university. To top it all off, they grew up in a time the world economy experienced the largest crash in the last 100 years. It is no wonder that this group don’t find pleasure in spending their hard-earned money on material items. As Forbes so aptly put it, they are more into “the style of life than the stuff of life”, and surveys have repeatedly found that they’d rather spend money on experiences than things. Millennials tend to invest more in experiences such as travelling, than in material possessions. It just takes a quick scour of the YouTube blogging community (a sphere of individuals with higher influencing power over millennials than traditional celebrities) to see how popular channels that preach a material-poor and experience-rich lifestyle are. The minimalist trend isn’t going anywhere anytime soon. 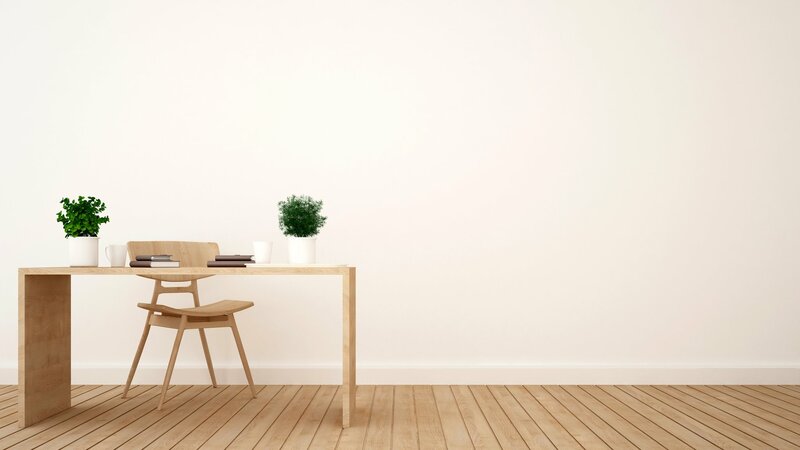 So, best stay ahead of the curve and read on to learn about the three big minimalism trends of 2018. We all know about oil-guzzling cars and energy-effective light bulbs, but how about the subtler aspects of our consumer choices that have negative impacts on our environment? Plastic micro-beads in face creams pouring into our oceans, the devastating damage inflicted by the demand for fast, cheap fashion, and unsustainable materials used in food packaging are all examples of industries where we really do have the power to vote with our pounds. We consume 400% more clothing items per year than we did 2 decades ago. Most of it ends up in landfills. Increasingly, people are choosing to support companies with high corporate social responsibility, favouring fairtrade, ethical materials, and sustainable production methods and supply chains, all with the aim of minimising the impact of their consumer choices on the environment. More emphasis is placed on values such as minimising transportation distance, greenhouse gas emissions, and waste generation, over personal convenience or the most frugal option. For example, lifestyle changes eco-minimalists might make include avoiding all synthetic materials, favouring clothes made from fairtrade, organic cotton, bamboo, or tree cellulose, from brands like Encircled, Sassind, and Echo + Air, or using only reusable kitchen storage materials, avoiding using disposable plastic Ziploc bags or even plastic Tupperware in favour of glass Tupperware or mason jars. This is a huge trend reinforced in millennials by influencers on social media, such as Sarah Lemkus, Ellen Fisher, and Raw Alignment, who’s YouTube channels boast 250,000, 476,000, and 740,000 subscribers respectively. You might notice from this list that eco-minimalism and veganism tend to go hand-in-hand on the internet, as the value sets underpinning both lifestyles overlap quite significantly, as do the values underpinning our next trend, the Zero-Waste Lifestyle. As mentioned, the eco-minimalist lifestyle focuses on intentionally voting with your dollar to support the practices that you deem valuable and ethical vis-a-vis the environment. Zero Waste, on the other hand, is about reducing overall waste generated by recycling or reusing everything possible. They are very similar concepts and difficult to untangle from each other. Those living Zero-Waste proudly tout around half-pint-sized glass jars, in them, the contents of an entire year’s worth of waste. This is in stark contrast to the average Briton, who produces 524 kg of waste per year. Those following a Zero Waste Lifestyle can often fit a year’s worth of waste into one mason jar. Living the Zero Waste lifestyle would involve making changes like recycling all food and organic waste into compost, and cycling those nutrients back into your own garden soil or donating it to a local farm, getting rid of all disposable materials, replacing them for fewer but higher-quality reusables, and separating waste at home into several streams for recycling. These principles are in line with the ideals of the circular economy, a concept that has risen to prominence in recent years as an alternative to our current linear economic model of “make, use, dispose”. Capsule Wardrobes are a trend that have taken off lately, seemingly emerging from nothing and becoming an overnight YouTube sensation, pioneered by the likes of Miss Louie, who at 300,000 subscribers, showcases her minimal wardrobe and gives tips on how to declutter and achieve the same result yourself. If you haven’t heard of the concept of a capsule wardrobe, it is a term coined by Susie Faux in the 1970s to describe a collection of a few essential items of clothing that don’t go out of fashion, can be combined with each other easily, and can then be augmented with a few seasonal pieces. In recent years, this concept has been expanded upon with people swearing by 100 item, 50 item, and even 30 item wardrobes. Recently, the ‘magic number’ trend has emerged following fashion blogger Caroline Rector’s attempt to curb her shopaholic tendencies. Since then, several people have proclaimed to be happier and calmer with just 37 items in their wardrobe. Example capsule wardrobe. Choose classic pieces that all combine with each other. Indeed, there seems to be evidence from psychology to support this notion. You may have noticed that several successful leaders and influential people famously wear the same uniform everyday. Notable examples include Steve Jobs, Mark Zuckerberg, and Barack Obama. Two decades of research on the topic of willpower has taught us that our daily willpower is indeed limited, and each time we exercise a decision, or focus on something intensely, we use up some of that willpower. In other words, making pointless decisions actually cripples our performance! Obama was once quoted in a Vanity Fair article as saying, “I’m trying to pare down decisions. I don’t want to make decisions about what I’m eating or wearing. Because I have too many other decisions to make,” a sentiment that was very much echoed by Mark Zuckerberg. That capsule wardrobe is more than a way to declutter your closet and save some dosh. Seems to be one of the little secrets that The Greats have been aware of for years. But now you, too, can reap the benefits of a more streamlied wardrobe, and focus your control and creative energy towards decisions that have a greater capacity to influence the course of your life, leaving you happier, calmer, and more fulfilled. So, what do you think of these minimalism trends? Why not try one to declutter your life and mind, perform better, and benefit the planet in the process? A great way to start is with a 30 day challenge. Set yourself the goal to change one element of your life, such as to stop buying disposable goods, to start recycling everything you can, or to give away a bundle of clothes to charity. Small changes upheld with consistency can lead to dramatic changes in your wellness. If your office needs a revamp, or you’re moving to a new location and are going for that clean, minimal look, reach out to Calibre Office Furniture. They are the experts in sourcing the highest-quality contemporary furniture designs and tailoring your office space interior design to your needs. Check out their office chairs or office desks! Happy decluttering!